Rome enthuses film-making. Its beautiful hidden views, its old and modern buildings, its lively inhabitants full of contradictions have provided many an idea to directors and producing companies. No surprise therefore, that one of the greatest film studios came to life right here, Cinecittà, an enormous complex with many different studios where all sorts of backdrops and historical eras were reproduced and then used in a number of notorious films. But then Rome is also an open air film set in itself and still today it is easy to come across film crews at work. So as you meander through the streets of the Eternal City be very careful, you may find yourself in the middle of a film set without even noticing! That said, if you are organising a trip to the Capital or perhaps you’ve been already and wish to rekindle nostalgic memories of such a magical city, well what could be better than a film to do so? In this article we will suggest the 6 best films shot in Rome. If there were dark times in the history of the Capital they came undoubtedly in 1943. World war II wasn’t over yet, the Nazis occupied the cities and terrible things happened to the population. This film by Roberto Rossellini tells us about those very times of violence and anarchy, and does so just two years after the facts took place using non professional actors (as the Neorealist film making tradition will later command) working with professionals such as Anna Magnani, Aldo Fabrizi who will later continue to make the history of Italian and international film-making. A tribute to human dignity against the tortures of war in which the Palace of the Italian Civilisation, the area of Pigneto and the Spanish Steps all make an appearance. 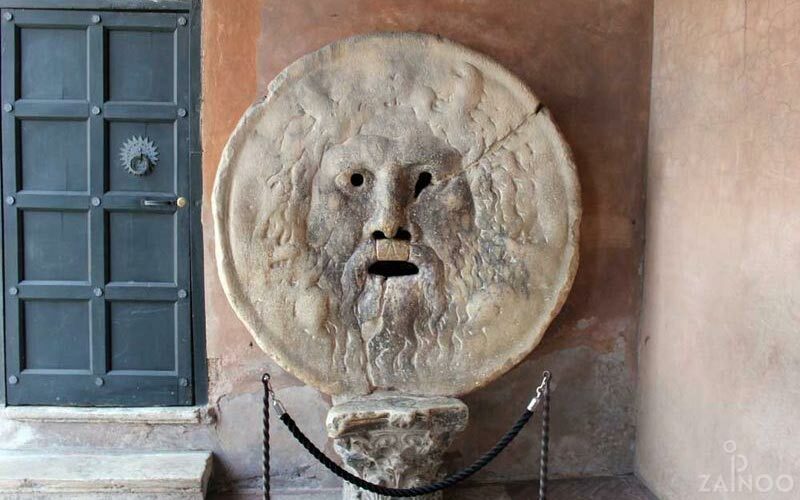 Only a few know Rome as Federico Fellini used to. 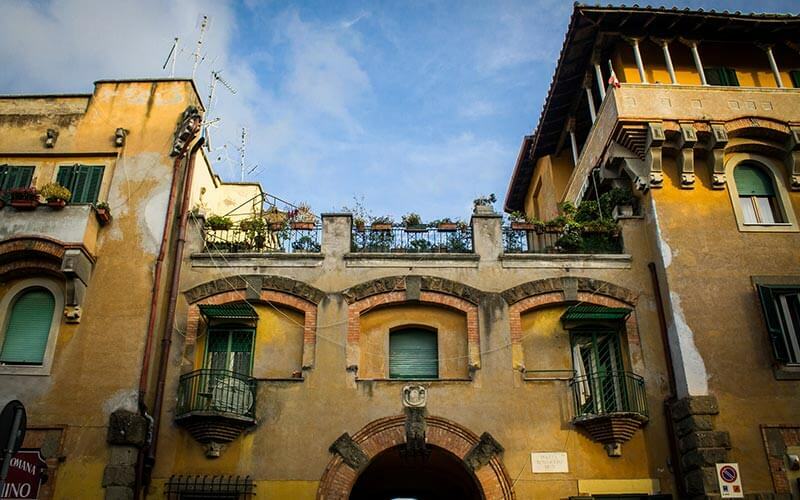 The director from the Emilia-Romagna region, moved there in his youth and in time was charmed by the faults and merits he got to know so well. In this 1960 film there is a lot of his Rome experience. The slightly decadent and at the same time sweetly melancholic atmosphere that captured many of the intellectuals of the time. The protagonist is Marcello Rubini, (alias the mythical Marcello Mastroianni), who plays a somewhat cynical and disenchanted roman journalist who roams around private parties seemingly without a purpose and mingles with unusual characters. 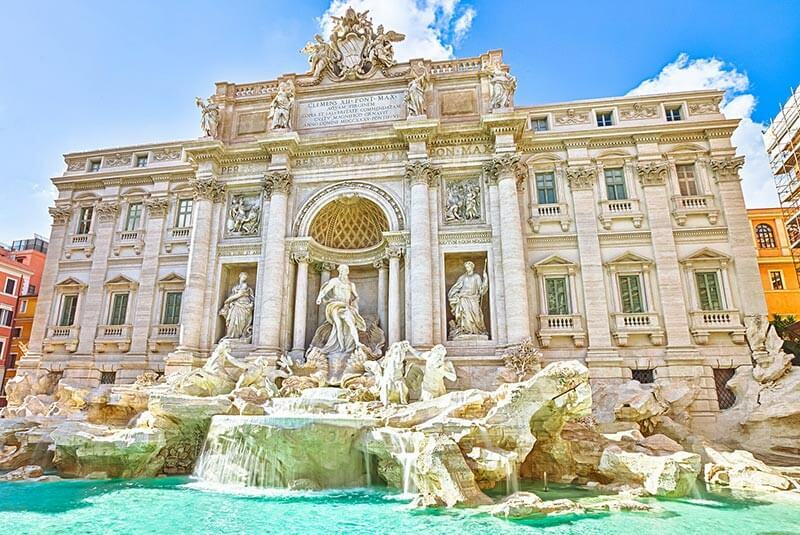 A number of famous places come alive in the film like the Trevi Fountain, with the unforgettable Anita Ekberg, the EUR district and Via Veneto, the movida of the Roman socialites of the time. A classic that could not possibly go missing from a list of films shot in Rome worth its name. 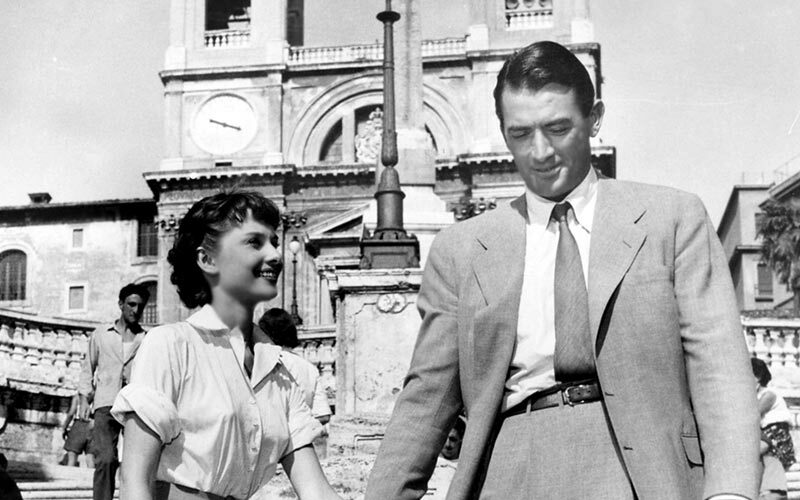 Directed by William Wyler in 1953 starring the famous Gregory Peck and Audrey Hepburn, the film is a sort of back to front Cinderella story: during an official state visit to Rome, Princess Anne falls in love with Joe, a journalist working for a Roman press agency. Joe will help free herself of the cumbersome responsibility of her role as a Princess and to live a holiday just as an ordinary tourist through the picturesque streets of the city. The scene on a the back of a Vespa has now made history and contributed to making the scooter famous worldwide, just as their visit to the Mouth of Truth did too. Speaking of a Vespa, we could not omit this film directed by the well known Director Nanni Moretti who has also taken part as a judge at the Cannes film Festival. The film is divided into three parts of which the first is in fact, “On my Vespa”. The episode lasts about 25 minutes during which the protagonist, as a true modern flâneur (loafer) meanders the streets of the Eternal City riding his scooter showing areas and architectures seldom seen in films taking place in Rome. More specifically, he drives through the Garbatella, a district of working class origins characterized by charming, garden bordered town houses. The choice of a Vespa is by no means casual because it is in fact the ideal vehicle to get around such a busy City like Rome. The title says it all: this comedy by the eccentric Woody Allen narrates about the lives of some tourists living in Rome and of their adventures and love stories in the Capital. The Director, films many of the places we have mentioned but does so with his unmistakable flair, that brilliant and hysterical type of comedy that has made him famous the world over. 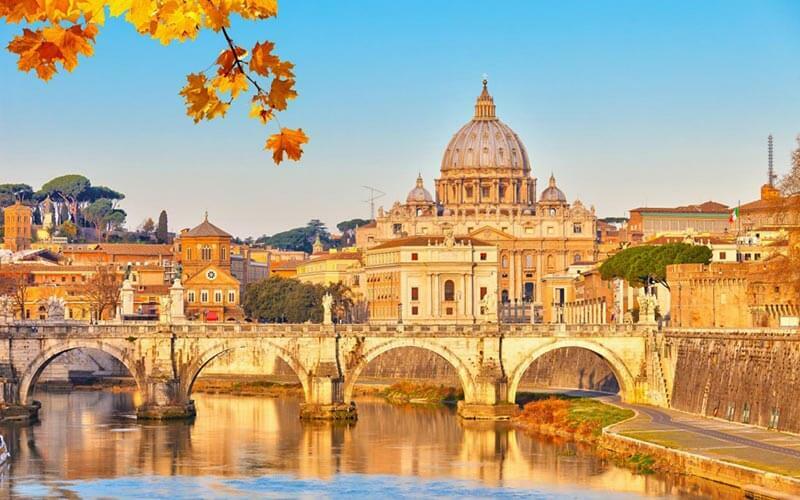 It in fact offers a great homage to the Capital, to its liveliness and colours, so much so that the title might have been “In Love with Rome”. We couldn’t possibly close this list without mentioning the film that has brought Italian film making back to the forefront and to receiving an Oscar as the best foreign film. Directed by Paolo Sorrentino from Naples, it tells the story of Geppi Gambardella, a disenchanted writer and journalist that very much reminds us of Marcello in “La Dolce Vita”. The Fellinian traits number quite a few but the topics have been updated as has been the photography and the backdrop. The eternal beauties of Rome seem to clash with time which ticks away inexorably leaving a streak of melancholy with the protagonists and, all in all, also with the spectator. 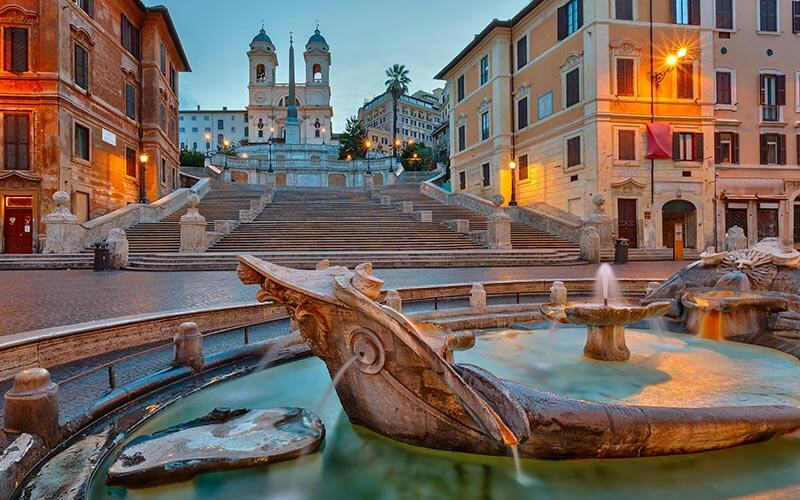 We hope we have given you food for imagination to explore this unique city but if not, you have but to rent a Buzz or a Vespa and become the lead roles in your own film on Rome! Happy shooting!